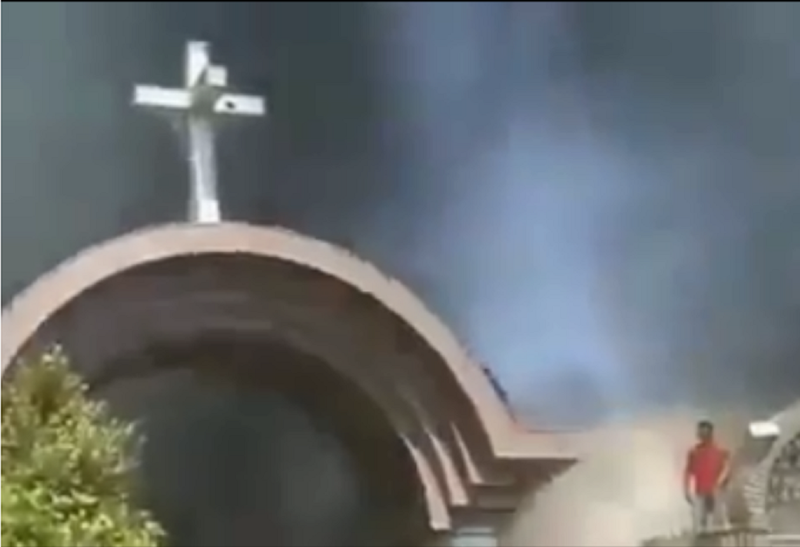 A Conservative political activist has been lambasted after sharing footage that claimed to show Islamists in Pakistan burning down a Christian church in response to the Christchurch attack. Theodora Dickinson, who has 17,000 followers on Twitter, shared a video on March 18 saying: “In response to the New Zealand mosque attacks, Islamists have burned down a Christian church in Pakistan. Why is this not being shown on @BBCNews?!”. 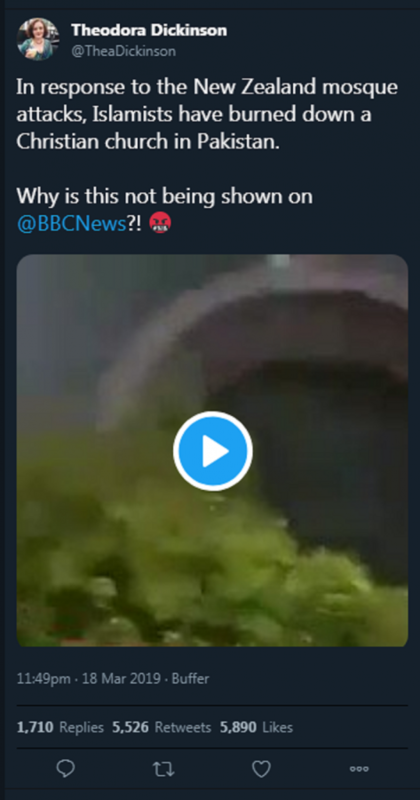 The tweet, which has since been deleted, was retweeted over 5,500 times and had 500 shares on Facebook, but the video was from 2013 and wasn’t even filmed in Pakistan according to a prominent news verification site. AFP Fact Check reported that a video uploaded over five years ago of a terrorist even in Egypt is clearly the same footage – only less zoomed in than the version shared by Ms Dickinson. The finding is consistent with a Human Rights Watch article which contains witness reports of an attack on the St George Church in August 2013. The appearance of the building in the video matches images from media reports of that attack at the time. Theodora Dickinson has been contacted for comment.